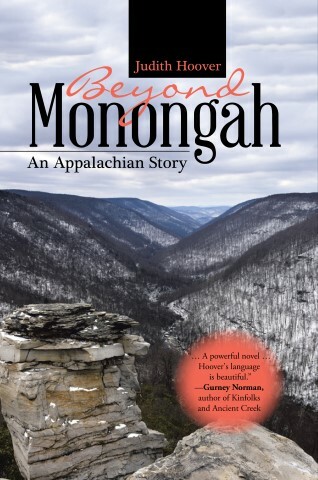 "Beyond Monongah is a story of coal camps, hard-working men, strong women, and everything that tests a family's grit and perseverance. Judith Hoover knows this world inside and out, and she writes with great authority and a keen eye for the telling details in this sweeping, fast-paced novel." "Judith Hoover's Beyond Monongah: An Appalachian Story is a powerful novel that renders in vivid detail the reality of a horrific, historic underground coal mine explosion and its effects on the families of the mining men. Hoover's language is beautiful." "... The writing here is graceful, emotionally intuitive, and thoroughly researched. Hoover expertly captures the essence of family life in the space of a sentence, here describing Orie and Bessie: “She, a tiny woman compared with her large and boisterous husband, loved to sing and loved to laugh, and he joined in the fun, never complaining if dinner was late because she was in the yard throwing a ball with the children.” Such warm tableaux are layered to create a living, breathing community, whose pain is palpable and resilience stirring. This results in fine and powerful work from a skilled historical interpreter that should appeal to American history buffs and romantics alike. A clever, engaging, and heart-rending tale about a 1907 catastrophe in Appalachia." Beyond Monongah takes the reader into the lives of the extended Martin family from Hershel’s early days as a trapper boy, to the 1907 disaster at Monongah, and on through the major events of the early Twentieth Century. The family is touched by labor unrest, by the fiery speeches of Mother Jones, by the devastation of World War I and the Spanish Flu Pandemic soon to follow. Whether the accounts of the mine explosion itself, statistics on deaths from mining accidents or deaths from influenza or tuberculosis, the dry facts of history come to life through the eyes of the miners and their wives and children. Being paid in scrip that could only be spent at the company store’s inflated prices rather than in cash meant that no savings could ever accumulate. Being forced to live in a company house as a condition of employment meant that families always faced the threat of eviction with nowhere else to go. We come to understand their sorrows and their joys, their failures and their triumphs. Judith D. Hoover, Ph.D., grew up in West Virginia near the site of the Monongah mine disaster, which was a part of family lore. Fascinated by the mysteries of the mountains, their sheer beauty above and lives of misery below, telling their stories became a goal. She made a career of teaching and communication consulting, so the majority of her earlier writing came in the form of textbooks and journal articles. Having retired from teaching she now spends her time writing poetry and fiction.